This entry was posted on Tuesday, October 17th, 2017 at 17:42 and is filed under Apple & Mac, How-To, IT, Troubleshooting. You can follow any responses to this entry through the RSS 2.0 feed. You can leave a response, or trackback from your own site. 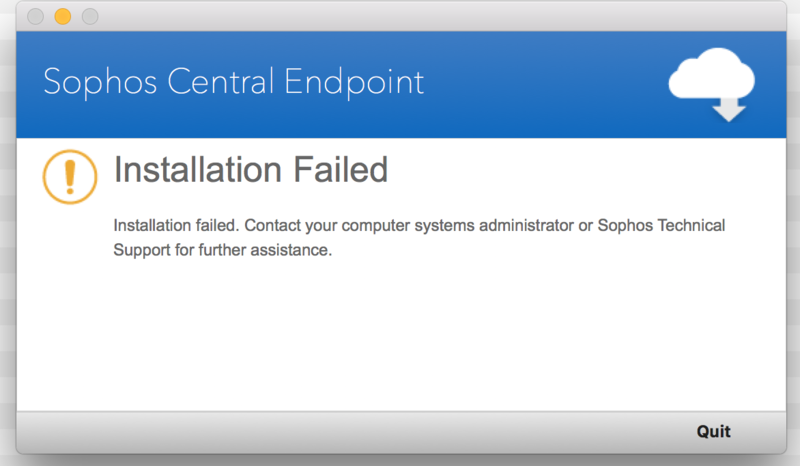 If the Sophos installer fails before installing, then it doesn’t create the saas or installer.app thus making the code line above break.